Whether you love them or hate them, rideshares like Uber and Lyft have become a daily part of life for millions of New Yorkers. These app-based services make it easy to pay for your ride, but while the privacy cost isn’t always as clear, it’s about to get a lot larger. These apps have tracked our movements since they launched, but as of this month, the Taxi and Limousine Commission (TLC) started tracking us too. The TLC’s new rules went into effect on February 1. Buried in them is a provision forcing rideshares to provide the location of every driver and passenger to TLC “at an interval no less frequent than every sixty (60) seconds.” The clause was not part of the original, proposed rule, but was added only at finalization with no public comment. As undemocratic as this rule-making process is, worse is the effect; the government knowing you’re late for work, leaving a meeting, heading home from the bar, and more. This sort of surveillance have seemed dystopian a few years ago, but it will now be reality. Historically, privacy advocates questioned how rideshares use location data, but it’s a far more chilling when this data is extracted and analyzed by government agencies, and potentially made available to law enforcement. Yes, the rideshares complied with law enforcement subpoenas in the past, but it’s different in kind, not degree, to have a sweeping, suspicionless collection of every single car’s location, rather than a subpoena or warrant backed by probable cause of individual criminal wrongdoing. The TLC implemented similar requirements for yellow taxicabs in 2010, but the privacy impact on riders could be larger with rideshares, where passengers cannot pay anonymously with cash. While the TLC will learn just about everything it can about our movements, there’s a lot that we don’t know about them. It’s unclear how they will keep all this data safe or share it with other New York City agencies, like the NYPD. Most important, we have no idea how the TLC will prevent its own employees from using this treasure-trove to spy on friends, families, and others. This isn’t the first time that the TLC’s data policies raised alarms. 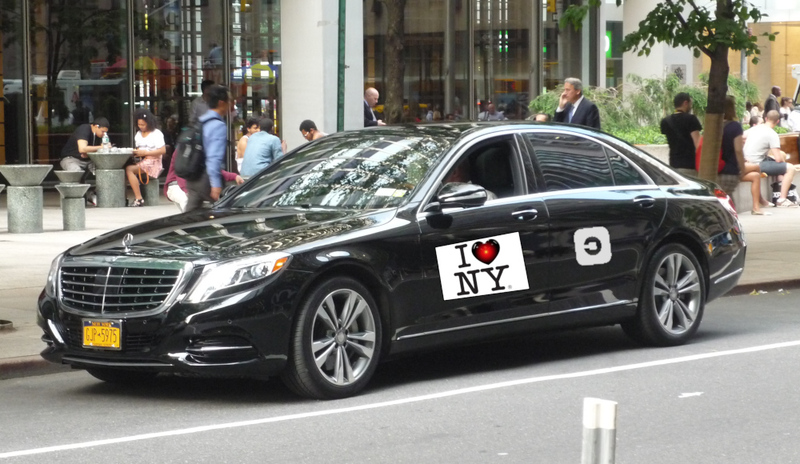 Back in 2017, privacy watchdogs and consumer advocates (including now-Attorney General Letitia James) hammered the commission for requiring information on rideshare drop-offs. At the time, the TLC conceded it would be too much to ask for precise locational data, so there was a compromise allowing rideshares to report the nearest intersection instead of the passengers’ exact addresses. Unfortunately, the new rule throws this 2017 compromise out the window, requiring more data than ever before. One needn’t be a privacy activist to see how this poses a slippery slope. Protecting privacy has become exponentially harder in recent years, with 2019 unlikely to buck that trend. If we are to stay an open society - both in New York and across the United States - it is vital that people have control over their data. This is difficult enough in private business relationships, but when nonstop surveillance becomes the business of the government we have a much bigger challenge. Overturning the TLC’s latest rule won’t solve this entire problem, but it’s surely a start. Albert Fox Cahn (@cahnlawny) is the Executive Director of the Surveillance Technology Oversight Project, a civil rights and police accountability organization.